Manchester United are riding the wave of six consecutive wins under Ole Gunnar Solskjaer after the Red Devils overcame their first real challenge in Tottenham Hotspur on Sunday. 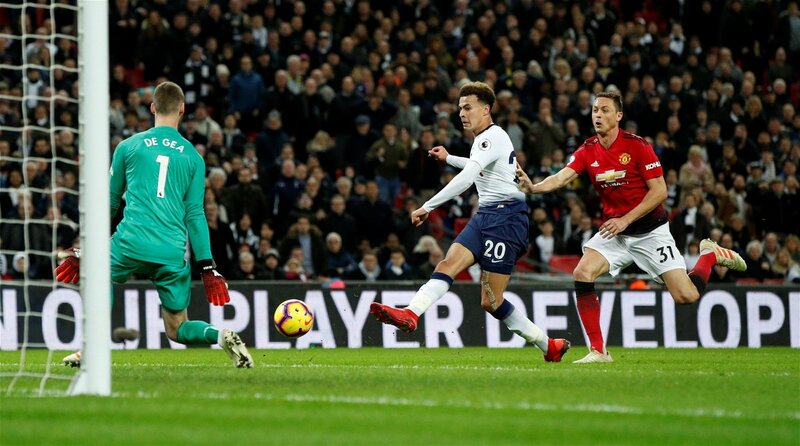 The world-class David de Gea is due most of the credit from that defining win, as the Spaniard kept Spurs’ second-half onslaught at bay with eleven saves, the second most he has ever faced in the Premier League in a single game. Only Arsenal back in 2017 tested the former Atletico Madrid star on more occasions, when the 28-year-old refused the Gunners a taste of home glory by making 14 saves, as United emerged 3-1 victors on a day they likely should have lost. De Gea’s form has dipped drastically since that December evening, and the once-brick wall-like goalkeeper conceded as many goals in 17 games under Mourinho this term as his average from the last two campaigns. It was not only the goalkeeper that underperformed under the Portuguese manager, though, as the whole team shifted from Premier League runners-up to a side devoid of motivation and lacking direction. Solskjaer has at least brought those aspects back to the Red Devils, but Manchester United are still a far cry from being back to their best, as De Gea claimed in his post-match interview with Sky Sports on Sunday. “We won the game against a top team like Tottenham, we controlled the first half, but in the second half they put on a lot of pressure and had chances,” said the 28-year-old. “The manager brought some happiness, the players are playing well, and the team is very strong now. 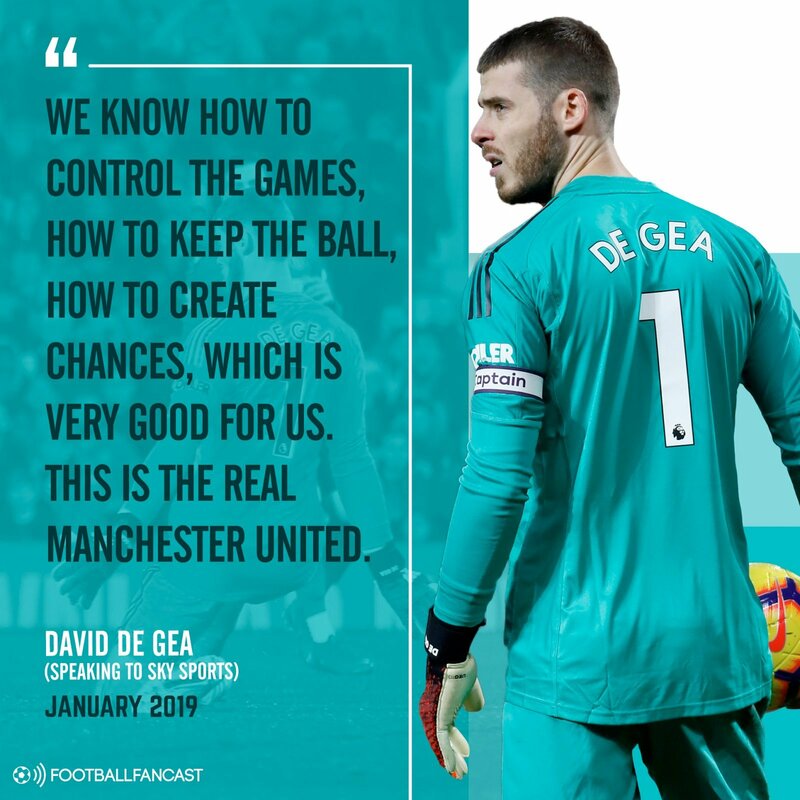 Taking apart De Gea’s words and he is right in that they controlled the first half, as United played with direction and freedom to express their own style in otherwise simplistic tactics – bringing the most out of the game-changing Paul Pogba and goal scoring Marcus Rashford. For that, Solskjaer must be applauded as under Mourinho, the game plan would have become clouded and mistakes would have crept in. But it would be untrue to say that Sunday’s display was United performing at their ‘real’ levels as the second half was a completely different story. Tather than continue playing with freedom, they returned to their old ways and once again looked like a side managed by Mourinho. The attacking flair was eliminated, the defenders sat further back and the Red Devils were pinned in their own box for most of the half as Tottenham mounted all the pressure they could, and almost every time found an opening to test De Gea. Without the Spanish goalkeeper, or a bit more quality in Spurs’ strikes, the score would never have stayed at one-nil and no one in red would have left Wembley smiling. One strike breaching the United goal line could have soon turned to two, or three, or four or even more, as Tottenham were the side on the rise until the final whistle was blown, more to the relief of the Red Devils than anything else. United still have a very long way to go before they’re back to their best once again.